Last week I had the opportunity to interact with a group of seniors who have been participating in the Stepping On program sponsored by the NDSU Extension Service and the First Lutheran Church in Fargo. This workshop is designed to help older adults learn ways to keep from falling and I had been asked to come in to show the group items that could assist them in fall prevention. 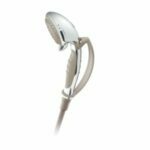 Since the bathroom is THE MOST dangerous room in the home for falls I wanted to follow-up from the workshop by sharing some highlights in today’s blog. 1. 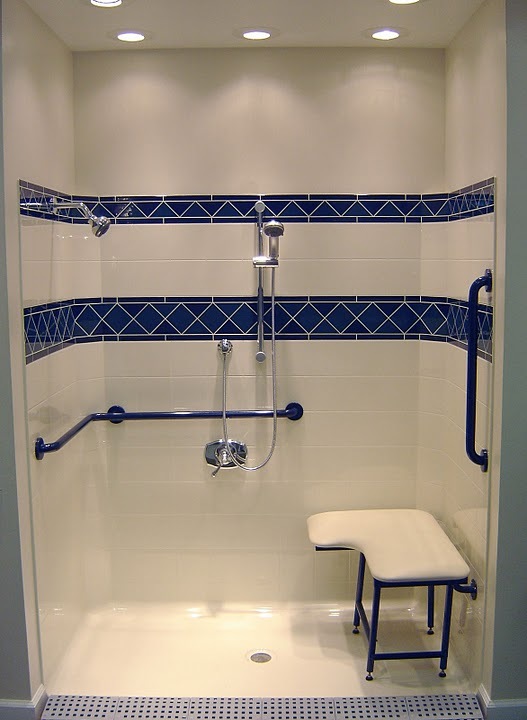 Install grab bars to make getting in and out of the bathtub or shower safer. Adding them around your toilet also makes this area more secure. You’ll enjoy lots of choices in style, finish, and color. 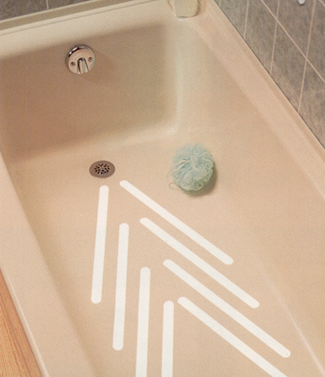 Logic will dictate placement points as you assess your tub/shower/toilet arrangements. Other rules of thumb – smaller hands will need smaller diameter bars and knurled-texture bars give better grip than smooth finished bars. 2. 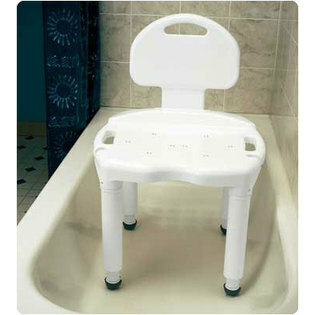 Get a shower/tub seat and a hand-held sprayer to make washing not only safer, but more comfortable. There are lots of choices here as well for both of these items. For the chairs your level of need will dictate how versatile your selection will be. Your weight, your ability to move the chair, or the difficulty you have in raising/lowering yourself are key considerations here. The Carex model below is a good choice as it supports up to 400 pounds, has a back, has built-in seat handles, is notched to hold a sprayer, and has skid-proof feet. For sprayers I like Moen’s hand-held sprayer the best with its safety strap and pause control button. 3. Put down non-skid (rubber or suction cup) mats in and around your shower and tub. 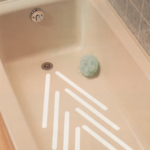 Applying water-proof safety tread tape to floor surfaces of tubs or showers allows you a custom application and packages are less than $4 at Lowes. 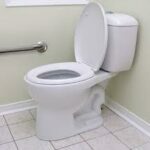 If you’d like some help in taking a look at your bathroom and getting additional suggestions on making it a safer area, IPAT offers Home First services and we’d be glad to visit with you!